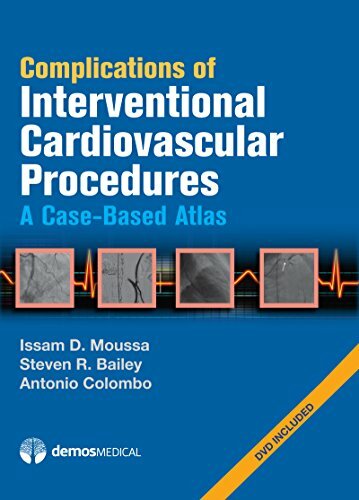 Complications of Interventional Cardiovascular Procedures is a comprehensive atlas that covers the potential complications for the full range of interventional procedures. The emphasis throughout is on a practical, useful presentation with an "atlas" type of format. Each complication is presented first with a case example: case description how it was dealt with why it happened and a discussion of whether and how it could have been avoided in this case. Following is a broader presentation providing more context on why the specific complication may occur how to anticipate it how to avoid or minimize it if possible and how to address it if it occurs. Key points in bulleted format are presented as "Lessons" highlighted throughout the text. Complications of Interventional Cardiovascular Procedures is concise and presents information succinctly for efficient learning and quick clinical reference. A companion DVD presents selected video loops of the procedures. The accompanying DVD runs on Internet Explorer 9 and above, Firefox 3.5 and above, Safari 3 and above, Chrome 3 and above, Opera 10.5 and above, and all HTML 5 browsers.